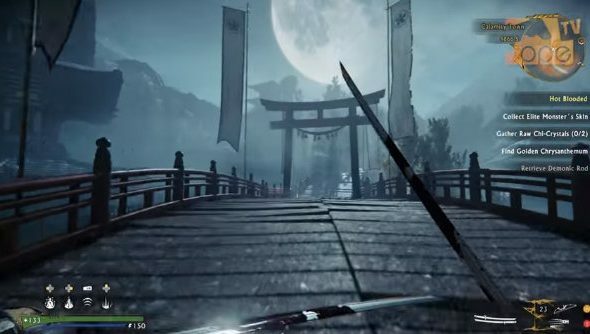 Some exclusive Shadow Warrior 2 gameplay has popped up on a Polish YouTube channel and it looks mega slick. If it wasn’t on my radar before (it really wasn’t), it is now. Keep an eye on our upcoming PC games list for all the new releases. Doom’s reboot and a brilliant indie game called Bunker Punks have reignited by desire for fast-paced, oldschool (past-paced?) action, and this looks about as frantic as they come. The swordplay looks like simple fun, with area-of-effect attacks, swipes and even projectiles coming from your dual katanas. Combined with a brisk dodge, it makes you look like the coolest demon murderer on the planet. Don’t even get me started on the dual SMG reloading animation and the way the player tilts the perspective to make it look even cooler. It just looks like a load of destructive fun, switching between gunplay and melee, as well as using a host of powers and environmental dangers to decimate the hordes of hellspawn.